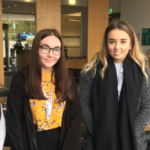 McDonald’s are a leading Youth Friendly Employer and committed to offering high quality work experience opportunities across their whole business, providing young people with the opportunity to learn about the world of work. 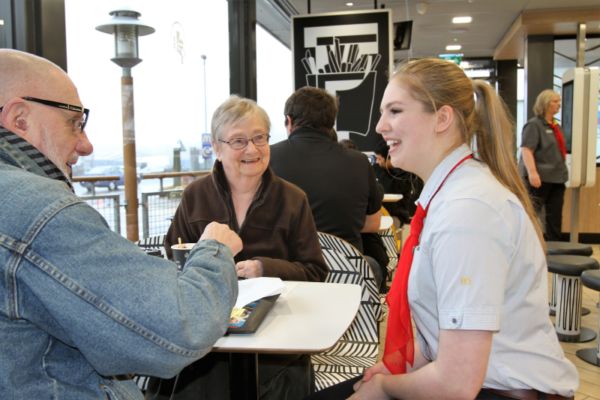 Understanding that young people need to experience work as a way to grow their confidence and employability skills, McDonald’s provide a comprehensive framework that supports each and every young person to do that. Young people participating in a McDonald’s work experience programme will gain realistic insight into the world of work, be part of a diverse team, develop work-related skills, gain confidence and learn from their experiences. Work experience is offered in as flexible a way as possible to suit the needs of the individual. Its standard format is designed to run over 10 days but this can be completed over a period of 2, 5 or 10 weeks according to needs. Each franchise has a Work Experience Manager responsible for raising the profile of the opportunities; they work closely with the school or other provider, parents/carers and participant. Work experience participants complete an online application and attend a short interview prior to their placement. This allows the participant the opportunity to understand the role and expectations, see the environment and meet the team before they begin their placement. 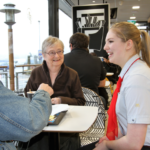 McDonald’s offer a student-style experience to work experience, which includes practical experience both on and off the shop floor (preparing food and helping customers) as well as an element of online and theory based learning. The online and theory based learning provides the opportunity to understand key business information such as health & safety and food hygiene, as well as the work skills being developed, which include but are not limited to communication, teamwork, and problem solving. At the end of each day participants reflect on their experience. This includes a chat with their buddy or work experience manager. They also complete their work experience diary for the day, looking at what they have learnt and what could be done better. On completion of the work experience placement, participants are given a mock interview, valuable personal feedback and a reference that can be used to help them with their next opportunity. Participants are also encouraged to offer feedback on their experience and thoughts on how it could be improved, what worked well, and what could have been better. 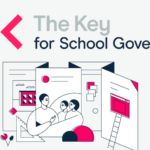 Of particular note is the investment McDonald’s have made in standardising their work experience programme and creating booklets and resources for all of the people involved (school, parents/carers, participants and franchise staff). This investment ensures the quality and consistency of every placement.